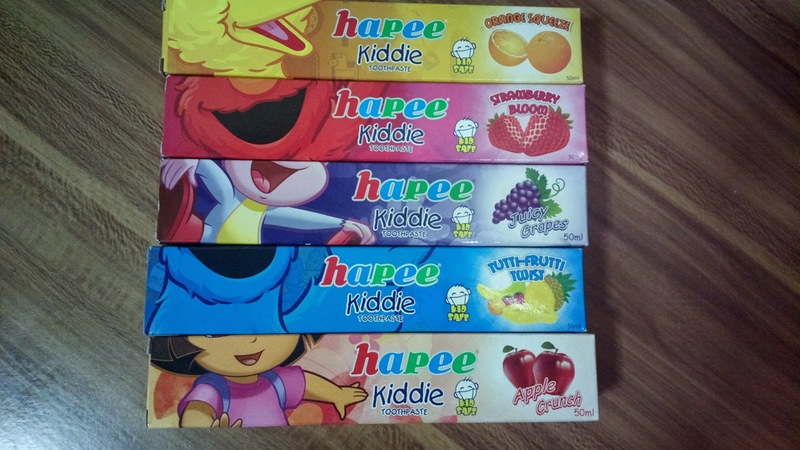 Kids will definitely be happy brushing their teeth with Hapee Kiddie toothpaste. It comes in various flavors children will love including orange squeeze, strawberry bloom, juicy grapes, tutti fruitti twist, and apple crunch. Most kids detest the strong menthol flavor of adult toothpaste. 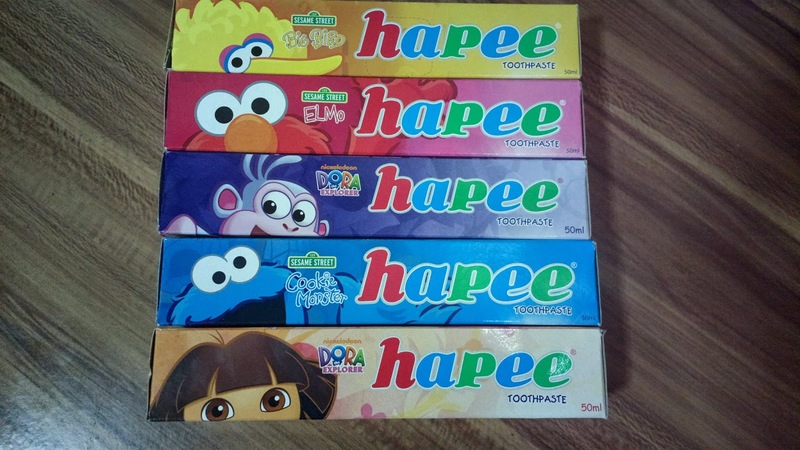 But they'll surely enjoy fruit inspired toothpaste flavors from Hapee Kiddie. I know my daughter does. And during grocery shopping, she's the first to pick the boxes of her beloved cartoon characters from Dora the Explorer and Sesame Street representing each flavor. There's Big Bird for orange squeeze, Elmo for strawberry bloom, Boots for juicy grapes, Cookie Monster tutti fruitti twist, and Dora for apple crunch. To make brushing even more enjoyable, you can have your child use a battery operated toothbrush if he or she can handle it. There's one that's quite affordable in Watsons.